Batch Picture Protector protects your digital images and artwork by adding professional transparent watermarks that combine text, illustrations and graphics. When used in conjunction with your favorite image editing software, a watermark can even contain your copyright, website url or logo image. Batch Picture Protector is the best way to add watermarks to your photos and achieve faster and simpler image protection. This watermarking software is particularly useful to designers, artists and banner makers who send artwork proofs to customers for evaluation. Those who publish images on internet web galleries can also watermark and protect image copyright using this software. By using the program, digital photos can be effectively protected from unauthorized use. 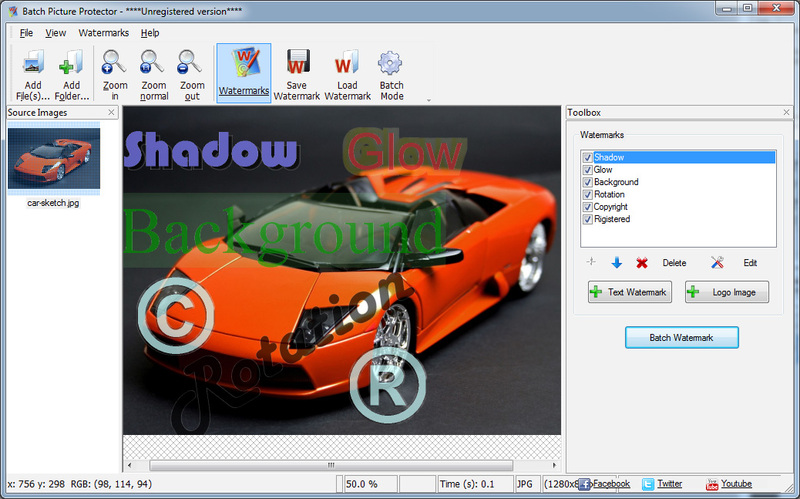 This photo watermark software places permanent watermarks that cannot be removed. Batch Picture Protector is compatible with all major image formats. After you add watermark to photos, they can be saved as a new file either in the same format or an alternative format. A built-in watermark file manager assists with the management of multiple watermarks for different purposes. You can save your favorite watermarks into the watermark library and reuse them whenever required or apply them to your photos automatically using command line script. 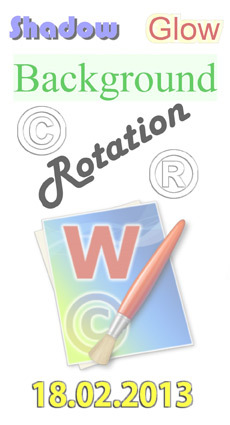 You can also create wide customizable multiple watermarks of any complexity.